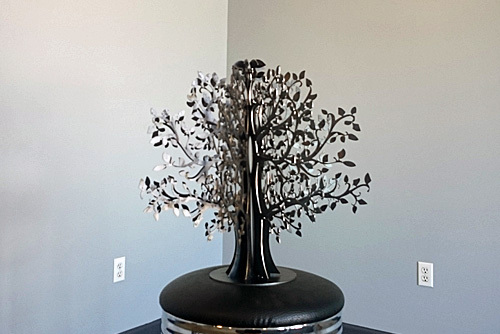 SLH Metals provided unparalleled high parts production and first class cutting quality for thin to medium thick sheet metal. 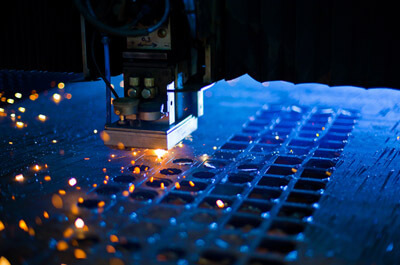 Laser cutting is a thermal cutting process for processing sheet metal. The laser beam is created by the laser source (resonator), conducted by a transport fiber or mirrors in the machine cutting head where a lens focuses it at a very high power on a very small diameter. This focused beam meets the sheet metal and melts it. 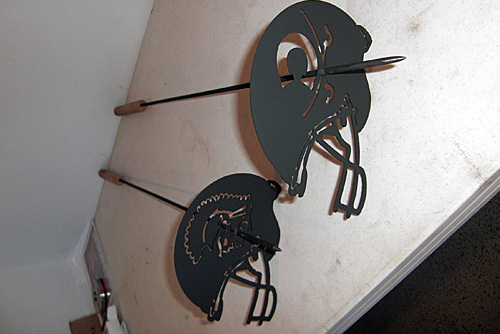 Laser cutting is extremely versatile. 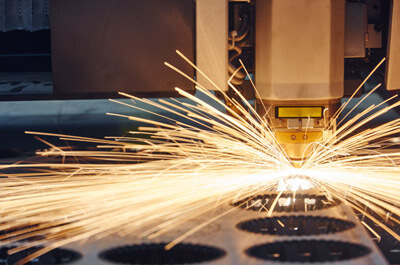 In addition to flat materials, tubes and profiles can also be processed by laser cutting systems. Primarily steel, stainless and aluminum are cut. The thickness of the processed sheet metal ranges from .08 to 30 mm. 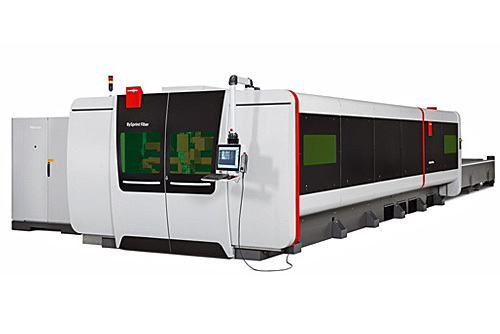 Fiber lasers are the newest development in laser cutting. The laser beam is created by an active fiber and transmitted over a transport fiber to the machine cutting head. We have a BySprint Fiber 3015 Laser. Engraves and Custom cuts parts. If someone is sending us files to cut, we need them in dwg and dxf, and step files. We can possibly use some PDFs. We provide precision laser cutting. Laser cutting uses high powered lasers to cut through materials. 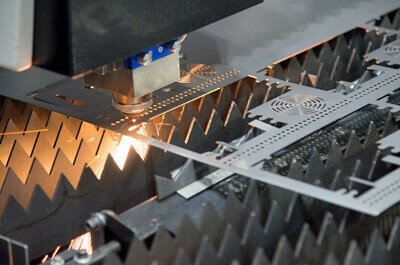 There are several types of lasers used in laser cutting. CO2 lasers are used for cutting, boring and engraving. 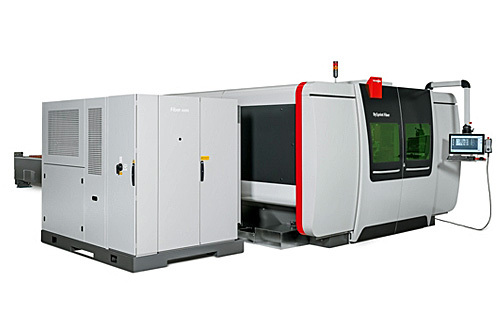 The Nd laser is used for boring requiring high energy but low repetition; and the Nd-YAG laser is used when high power is needed for boring and engraving. Both of these lasers can be used for welding. The water jet laser is called a laser microjet. A pulsed laser beam is directed in to a water jet. Water is commonly used as a coolant and also removes debris. Copyright 2017 SLH Metals, Inc. | Website Design & Marketing by Target Marketing Solutions, Inc.